The Merchant Seamen's Orphanage was established in October 1827 in London to care for the children of men lost at sea. In 1862, the orphanage moved to a purpose-built orphanage at Snaresbrook (pictured above). 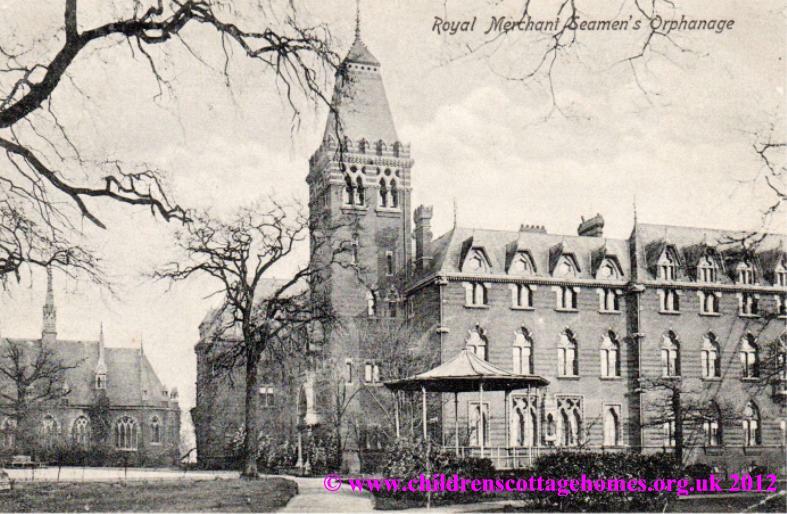 In 1902, the orphanage added 'Royal' to its title. Over the years. the emphasis was placed far more on the institution as a school than as an orphanage and it became known as the Royal Merchant Navy School. In 1961, the institution changed its name again to Bearwood Collage. By this time, there were far fewer orphans than had been the case originally and the school was accepting fee-paying students. The school continues to function as Bearwood College.